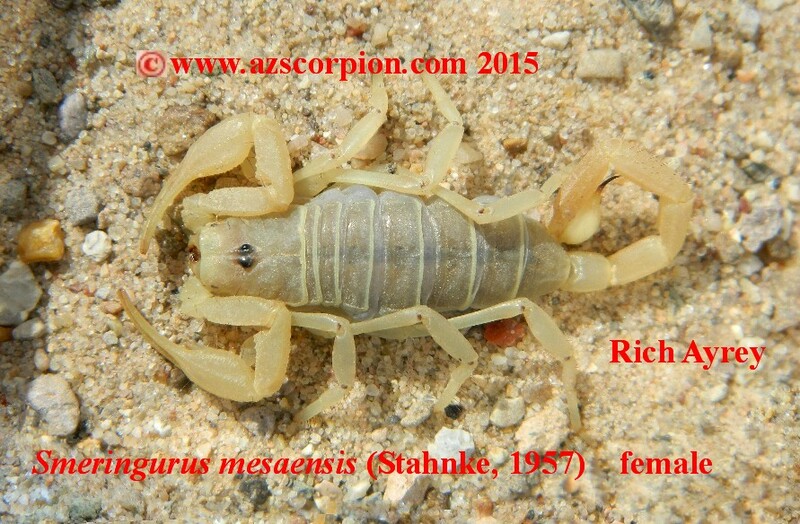 This scorpion was found on a sand dune in Western Arizona. The second photograph was taken using one of my A49 Scorpion Blacklights. This site copyright Rich Ayrey 2008-2015 Flagstaff, Arizona. 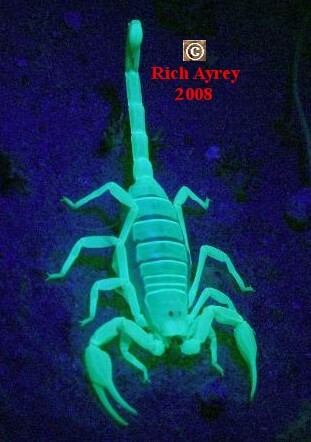 This Arizona Scorpion page created 03/25/08.